The 6.8 acre state-of-the-art park is located west of 98th St. and south of Gibson. "Testament to a Community Working Together"
“This park has been a long time coming for the residents in District 3”, said City Councilor Klarissa Peña. 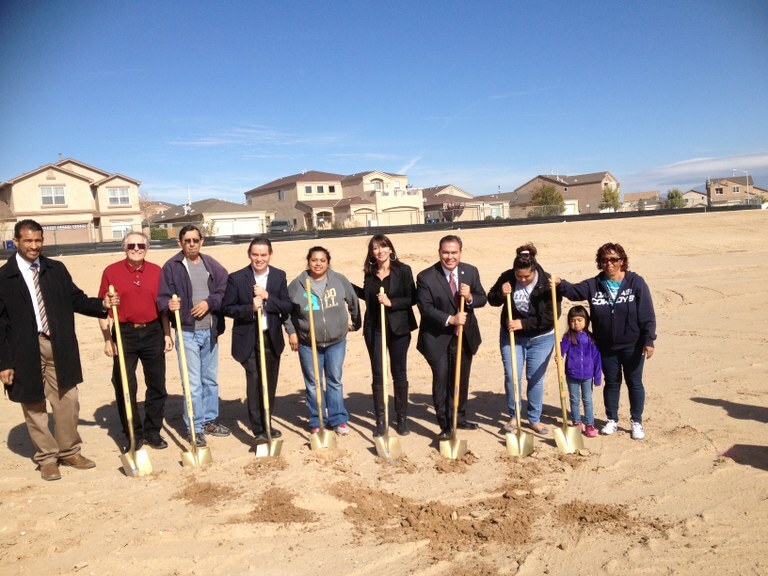 "It brings much-needed recreational space for the families on the Southwest Mesa. This ground breaking is a result of efforts by many people and is a testament to how a community can work together to achieve great success." City parks and open space improve our physical and psychological health, strengthen our communities, and make our city and neighborhoods more attractive places to live and work. The Design Consultants were Greg Miller and Aaron Treviso from Morrow, Reardon, Wilkinson, & Miller. The Contractor is Lee Landscapes. The park is expected to be completed by late summer, 2015. City Councilor Dan Lewis who listened to community member’s concerns about the lack of parks in our districts on the West Side and co-sponsored the floor resolution to add two million dollars to the City of Albuquerque’s GO Bond initiative. 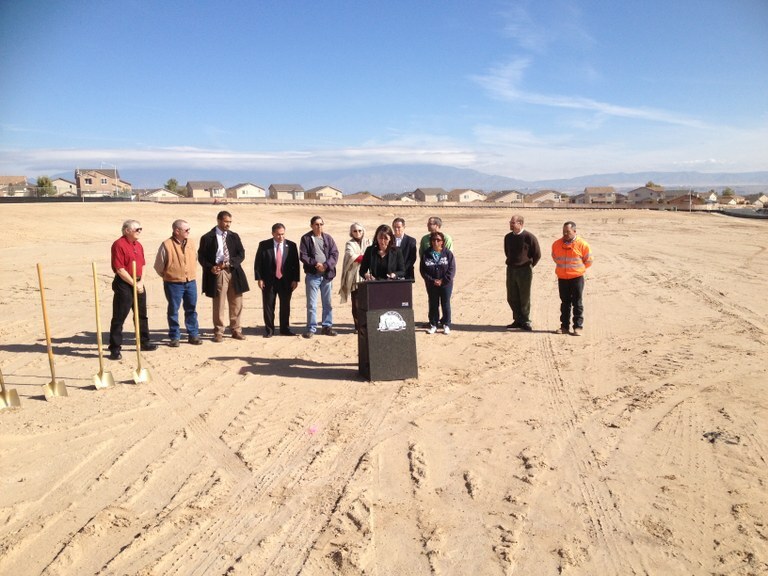 City Councilor Ken Sanchez and the other councilors who voted to place this on the October 2013 ballot. Senator Padilla who brought the building of the park to my attention when I first assumed office back in December. The Southwest Alliance of Neighbors who throughout the years have advocated for parks and other amenities here on the Southwest Mesa. Community members Liz Alvarez and Gilbert Duran, his wife Marisa and daughter Audrey, who were diligent in making sure we steered the course to get the park started. The voters in the City who voted for the parks initiative that provided the funding. 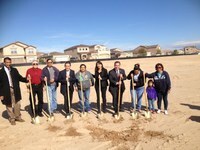 The City of Albuquerque Parks and Recreation Department, particularly David Flores, the Parks and Recreation Architect who spearheaded this project and has always been available to answer questions and provide information.